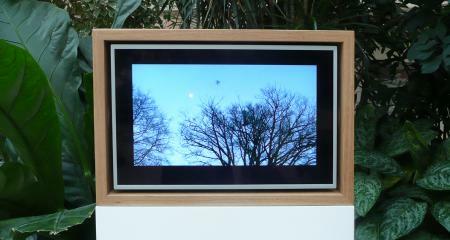 Open Gallery specialises in video art installations. 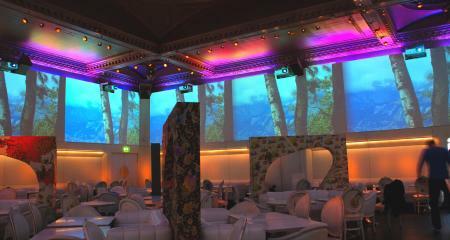 Our design team is expert in integrating art in settings outside of the traditional gallery context. 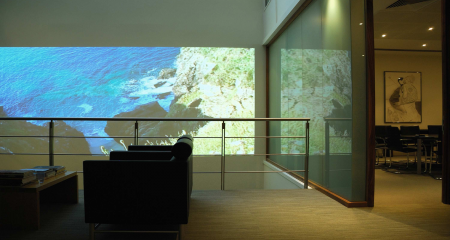 Our moving image artworks can dramatically transform the emotional impact of a space, without distracting from the function of the space itself. We develop installations tailored specifically for your needs and which integrate into the architectural features of reception halls, suites, meeting rooms and restaurants. Read our case studies below for more information. Or for the specific installation services we offer, click here. 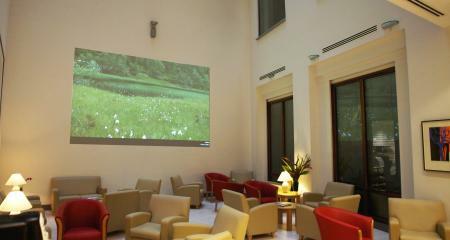 The Hospital Club asked us to create a multiple screen exhibition of video art in their main members’ lounge. 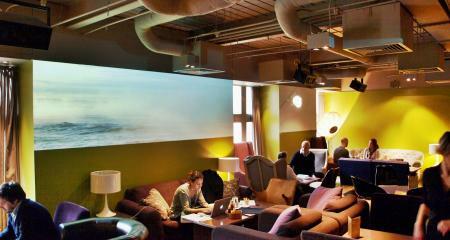 The second floor lounge plays host to business and social meetings during the day, and functions as a livelier bar space in the evenings. 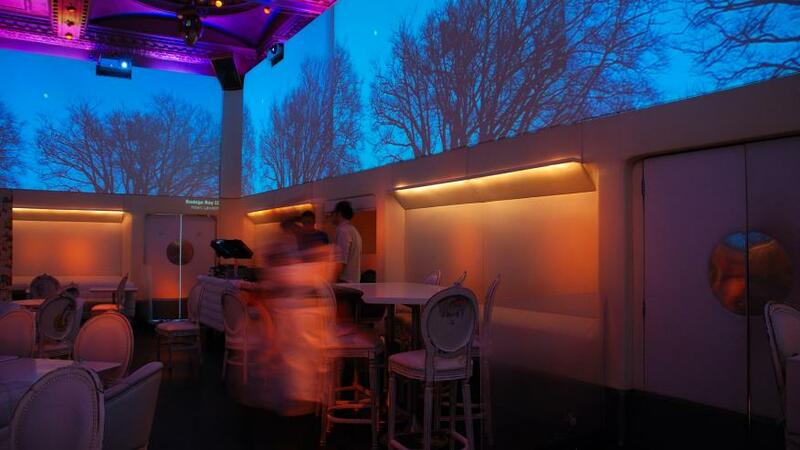 The club’s curator wanted a striking exhibition which was also sympathetic to the various uses of the space. The Square occupies the ground and basement floors of the Berkeley Square Hotel in Bristol, an eclectic yet elegant art-hotel recently ranked fifth in The Guardian’s top 100 UK boutique hotels for under £100. The gallery space incorporates the Square Club which is the region's leading members' club for the arts and creative industries. 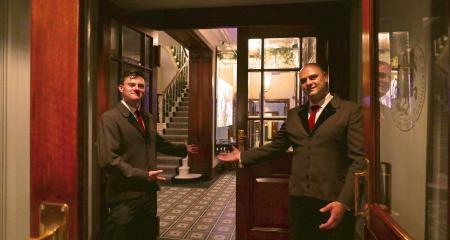 Open Gallery was asked to provide art programming for the Hotel and Club, setting up two permanent video art installations therein. 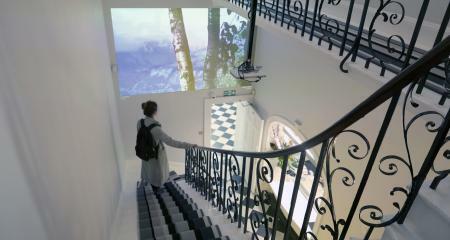 On occasion of the Mayfair Art Weekend event in 2017, Open Gallery collaborated with Brown's Hotel to display the solo series ‘Study for Composition VI: Framing Sensual Phase Transitions’ (2012) by Sidsel Christensen for a period of one week, followed by the display of the group series ‘Summer Dreams’ (2017) for an additional week after the Mayfair Art Weekent at Brown’s Hotel. When International Asset Management moved to a new office in Mayfair, IAM CEO Morten Spenner wanted to expand the company’s impressive art collection and asked Open Gallery to create a spectacular point of interest on this wall. The office is centred on an atrium which is bordered to one side by a triple height wall. Under the previous tenant, Hugo Boss, the wall had displayed a vertically mounted Formula 1 car, but was now blank. Coutts Bank had set up an art prize called Coutts & Co and was keen to communicate its relationship with the arts. In their reception area there were dated siaply cases which were in the opposition to the architecural style of the space. The brief had to appease the Stakeholders and Branding team be harmonious with the existing interior. In 2010 The London Clinic opened a new state of the art oncology centre on Marylebone Road with an ambitious visual art programme to match the building's technical offering. Their aim was to create a tranquil and uplifting atmosphere within the main waiting area for the scan rooms which was situated in a double height atrium two floors below ground level. The London Women's Clinic were in need of a colourful, bright and high contrast nature close-up video paintings to compliment their classic and traditional surroundings, in the ground floor/reception area, leading to the upper floor. 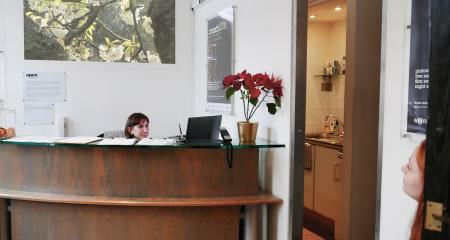 The work is visble to people entering the clinic, and going up and down the first floor of the building.